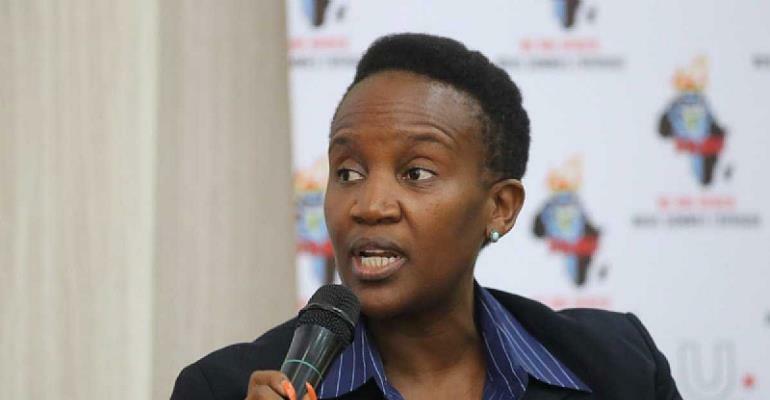 The Federation of Africa University Sports (FASU) has elected its first-ever female president, Nomsa Mahlangu from South Africa, and her tenure will last until 2022. This historic moment, which was also witnessed by FISU President, Prof. Oleg Matytsin, occurred during the FISU-FASU Strategic Dialogue and FASU General Assembly in Entebbe, Uganda which held from March 23 to 24. Vision Mahlangu, whose “quest is to touch lives, make a difference and be fulfilled” like her Twitter bio says, has been involved in student sports for nearly three decades, serving in several key positions since 1994 - when she was the general secretary of the South African Student Sports Union (SASSU) Football Gauteng Province. A collective She told participants of the Dialogue and General Assembly that they all have a role to play in “ensuring that FASU is successful” while highlighting that a lot of work needs to be done. “I heard a lot of people since the dialogue. There were talks that we need to take FASU to another level. Now, this is the time for us as a collective to define what that other level is. In the next programmes of FASU it is our responsibility to ensure that we give opportunities to our students. University sports is all about students it is not only about us as administrators, lecturers and the likes,” she explained. Female sports athletes Mahlangu, a former goalkeeper who has been a National Executive Committee Member of the South African Football Association (SAFA) since 2009, is a well known advocate for gender equality and during one of the panel discussion at the two-day event in Uganda she said: "The role of female sports athletes in leadership is as critical as their male counterparts... It is a combination of efforts that will propel us to greater heights."